We are providing number of verities in filling machines and they all have their own specialties and different working mechanism. One of our Lotion Filling Machine is especially designed for filling high viscosity products like paste, face wash, lotions etc. It needs small working area and easy to move from one place to another. It is made by using high quality pneumatic parts and stainless steel, which guarantees the machine's high filling accuracy. 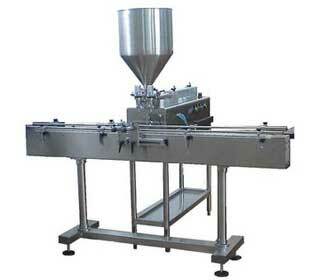 Lotion Filling Machine is used to fill different shaped containers like tube, bottles, jars, cans etc. In addition, it has the features as following when filling lotions. No drip filling, flat product surface, transparent design. 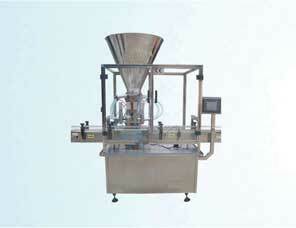 Both filling volume and filling speed can be adjusted.